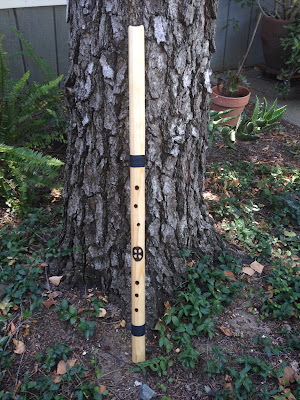 This is the place to begin your Ancient flute journey. 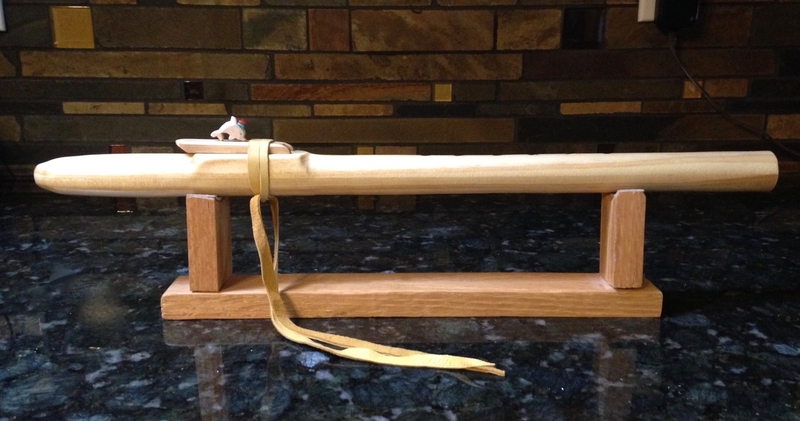 If you have been playing Native American flutes and want to expand your musical horizons with playing rim blown flutes, flutes from Anasazi Dream are the ideal place to start. 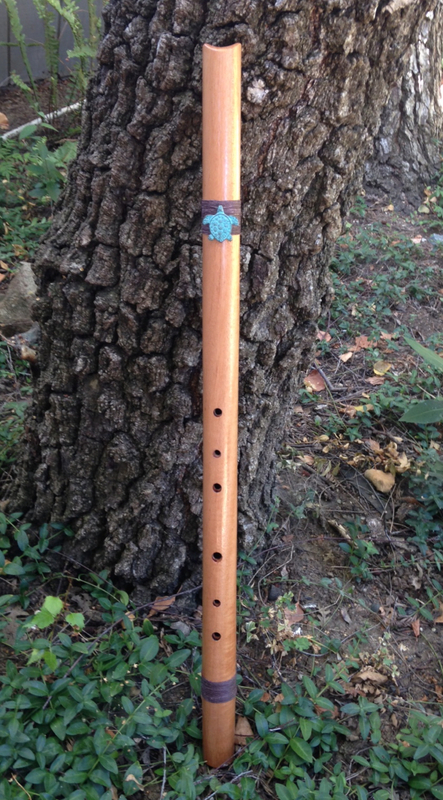 Inexpensive, yet finely tuned and nicely crafted, each flute will provide an affordable and professional-sounding experience. 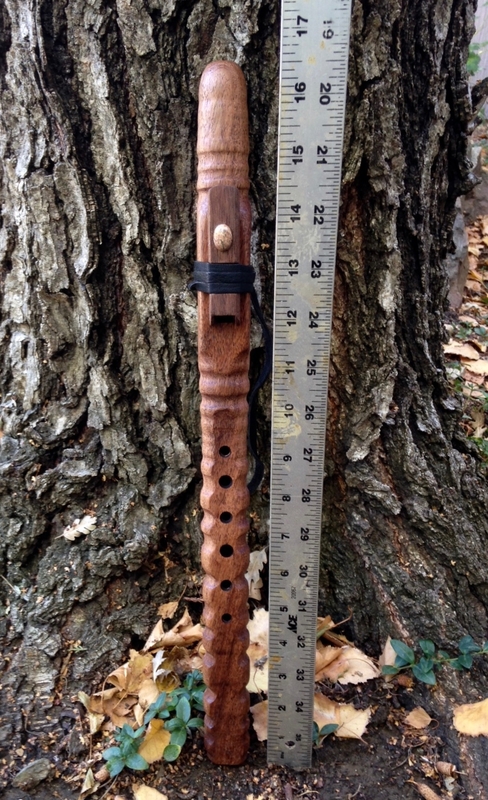 Visit each one of the pages on the above tabs to see the types of flutes that are available. 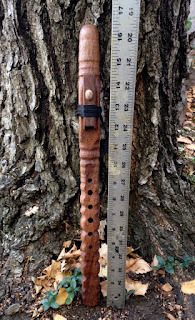 I am also making major scale (diatonic ) flutes and an East Indian tuned flute (Namasté). 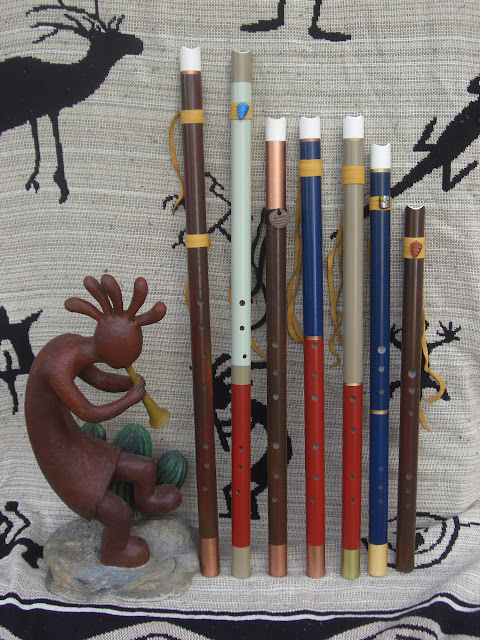 All of the flutes can be painted in a variety of pleasing styles. 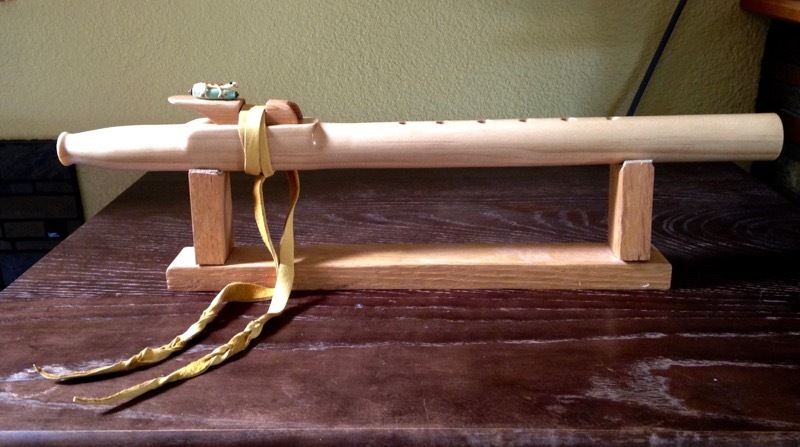 Please Note: I am not a member of a Native American tribe, and do not represent these instruments as being Native American made. 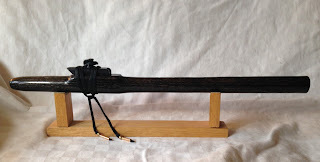 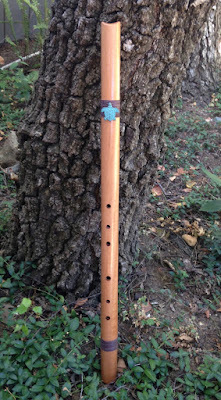 A Flute in High B, Chechen Wood, with a distinctive flat fingerboard. 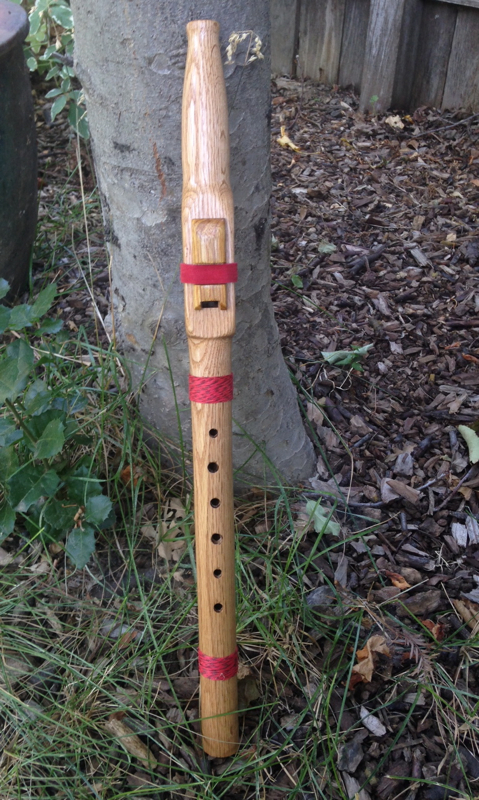 Simple yet elegant A minor flute in clear pine. 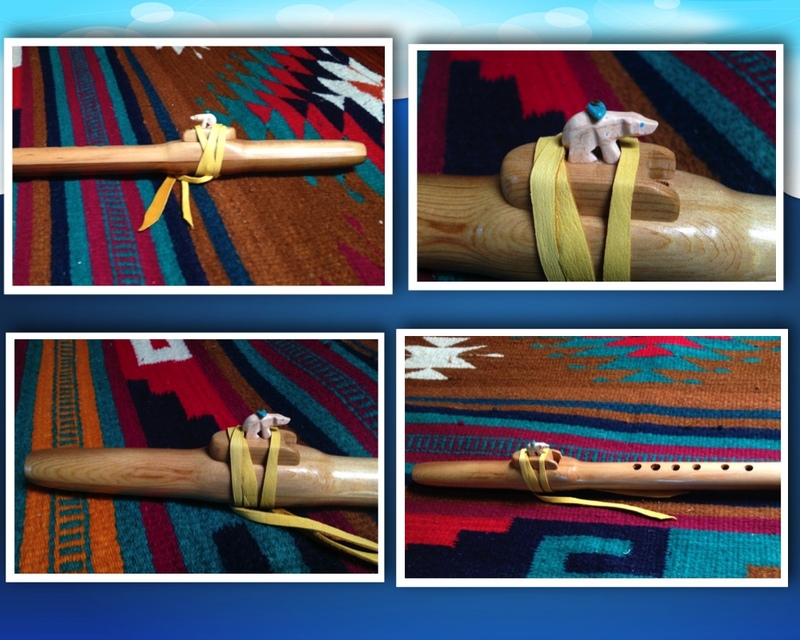 "Received the flute today. 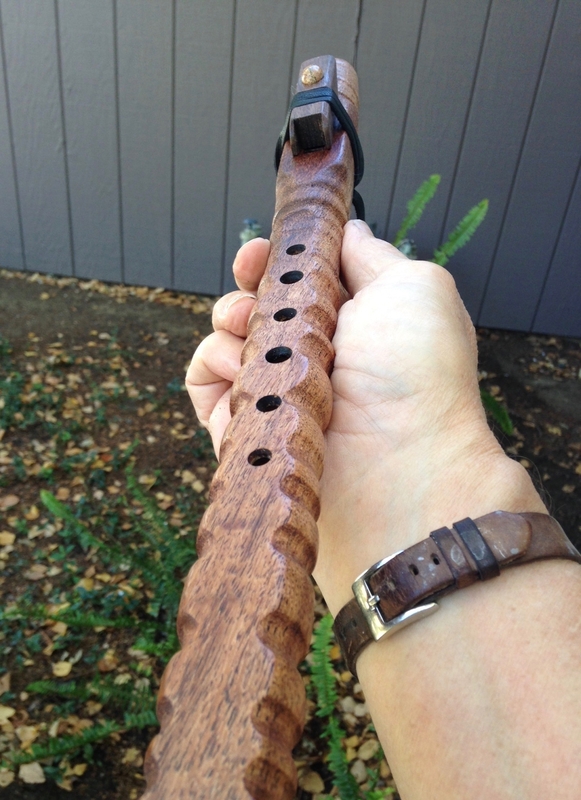 What a wonderful piece of workmanship! The only problem I'm having is that once I start playing, it's very difficult to stop! Is there any known remedy for this (lol)?" 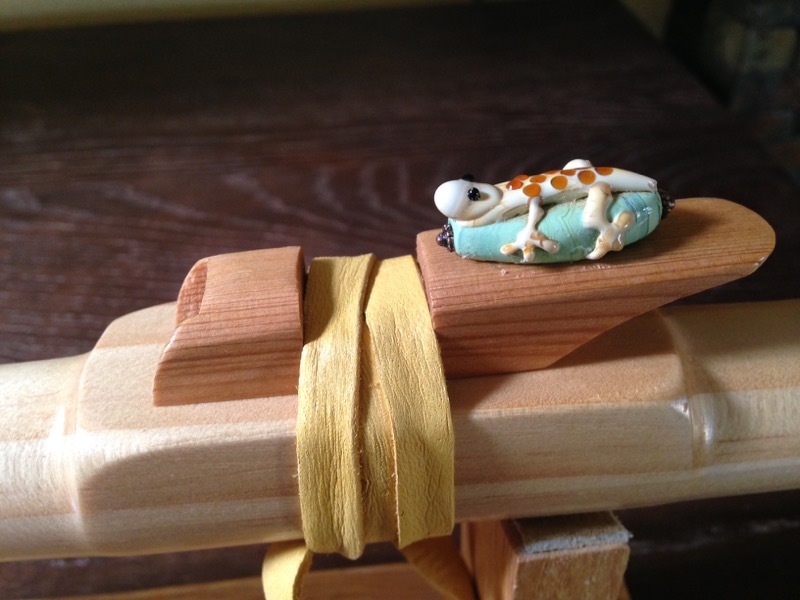 Made from Tiger Wood with a Turtle Fetish. Already sold, went to Texas! 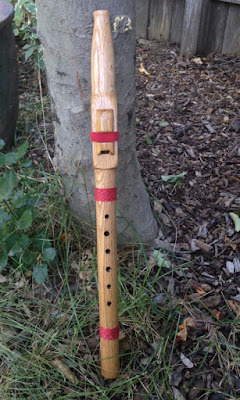 My Native American style and wooden rim blown flutes on are now on Etsy. Give them a look! 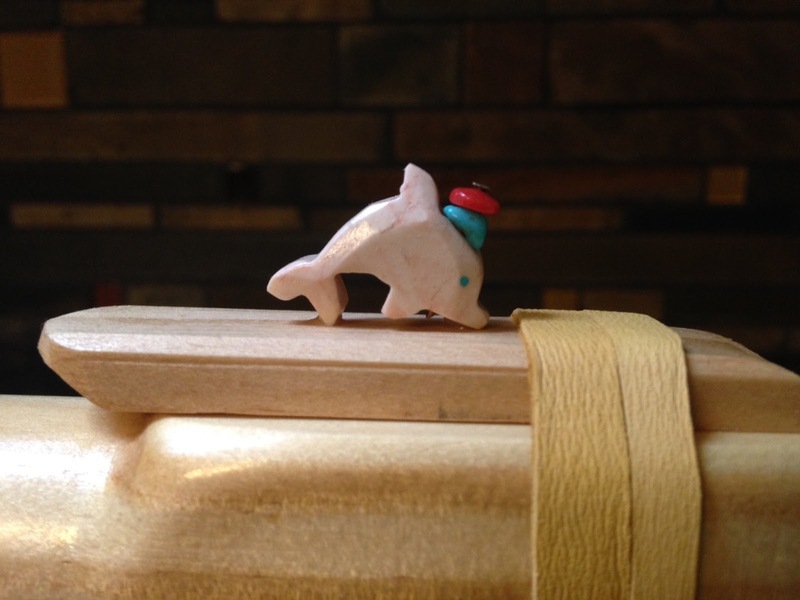 Go right to the "Blog and Special announcement" page for a look at the most recent!